I knew I had some gold nuggets going into this project with Felipe Alou, but I soon realized that I’d struck a goldmine. 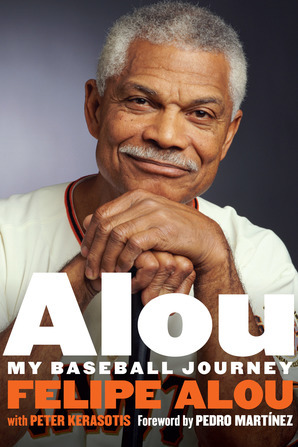 I keep hearing from people who have read “Alou: My Baseball Journey” that it’s more than a baseball book. And it is. This is incredible story of a kid who grew up in a 15×15-foot shack in the Dominican Republic and became the first man to leave that island and become a Major League Baseball player and manager, as well as the first Dominican to play in the World Series. What makes this story more remarkable is that Felipe Alou was on track to become a doctor when baseball came calling. He was a track & field athlete attending the University of Santo Domingo when he make the Pan-Am Games in Mexico City in 1955. One of the baseball players on the Dominican team was kicked off and sent home for insubordination, and they came to Felipe, telling him they needed him more on the baseball team than track & field. He batted cleanup for the team and led them to the gold medal, beating the US in the process. A scout saw him and came to the family home and offered him 200 pesos to sign a pro contract. Knowing that his struggling father owed the grocer 200 pesos, and also knowing that he was years away from becoming a doctor and helping his family financially, he signed for those 200 pesos. Two years later he was playing in the same San Francisco Giants outfield with Willie Mays. Soon his two younger brothers, Matty and Jesús, joined him. Later his son Moisés also became a major league players. I’m extremely proud of this book. I think it’s some of my best work. When you combine good work with a great story you get a book that a lot of people have given positive reviews to. 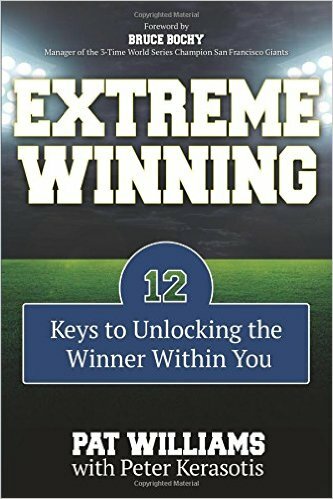 I collaborated on Extreme Winning: 12 Keys to Unlocking the Winner Within You with Orlando Magic vice president Pat Williams, drawing on his experiences that span more than a half century in sports and sports management. 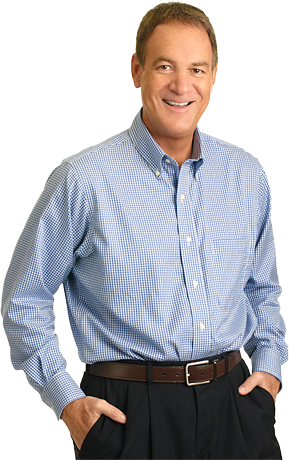 Pat is a renowned motivational speaker and a fountainhead of knowledge and insight. If you look on the Orlando magazine tab on this website, you’ll see two magazine stories I wrote about him – one chronicling his prodigious reading habits (which won a Florida Magazine Association first place Charlie Award for best feature story) and another on Pat’s cancer battle. It was a pleasure working on this project with him. What Pat has discovered, and I agree with him, is that winning has a broader meaning than a mark on a ledger after a competition. It isn’t just sports centric. It permeates sports, business, self and every aspect of life. My friend Bruce Bochy, the three-time World Series-winning manager, wrote the foreword. America held little promise during the 1930′s, when the Great Depression vice gripped the country and a boy named Thomas Errol Wasdin was born into the hardscrabble farmland of Waldo, Florida. Wasdin was only months old when his mother died of blood poisoning. Soon afterward, he and his sister were sent to live with their Uncle and Aunt, who raised them with old-fashioned values rooted in discipline and hard work. These became character traits that served Wasdin well – later at the University of Florida and eventually throughout his life. And what a life it has been; rich and varied, and not without heartache and an ongoing, debilitating battle with Trigeminal Neuralgia, which the medical profession chillingly refers to as the Suicide Disease. 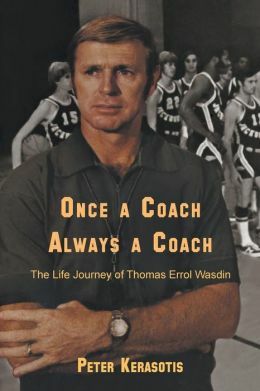 Wasdin was part of the two-man coaching staff that took Jacksonville University to the pinnacle of college basketball – the 1970 NCAA Championship Game against John Wooden’s UCLA Bruins, the most powerful program in college sports history. He then went on to become a successful businessman and community leader. It is a life lived in full, and a life story worth reading. 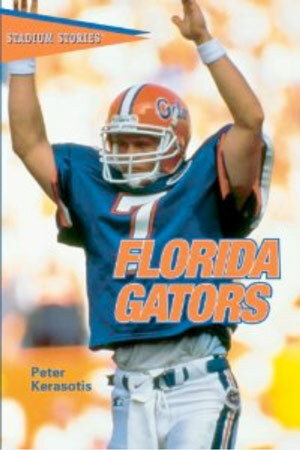 Relive Classic Moments in Gator History! Thrilling victories, crushing defeats, comical mishaps, and colorful coaches, players, and fans-these are the legendary moments and larger-than-life personalities that have made the Florida Gators a gridiron favorite.